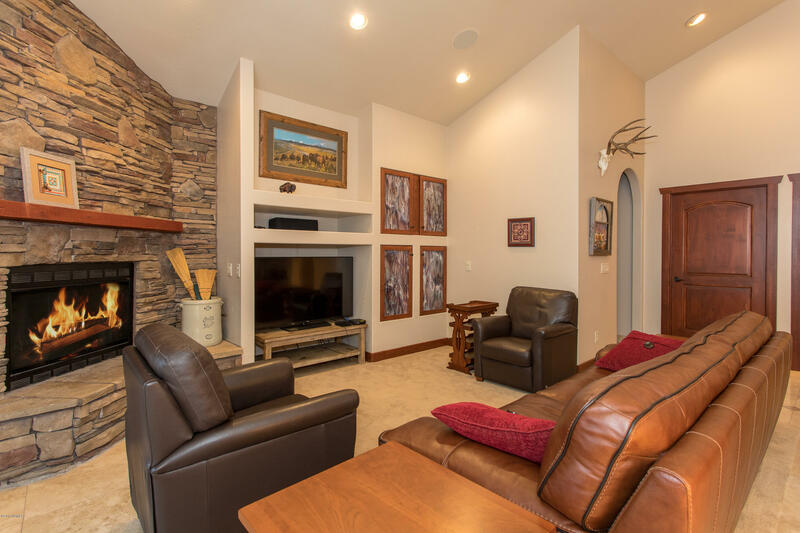 This is mountain elegance at it's finest. 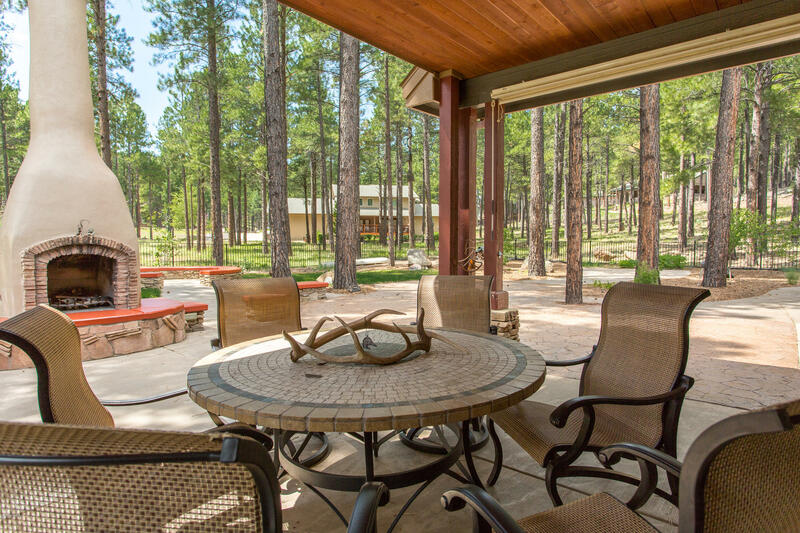 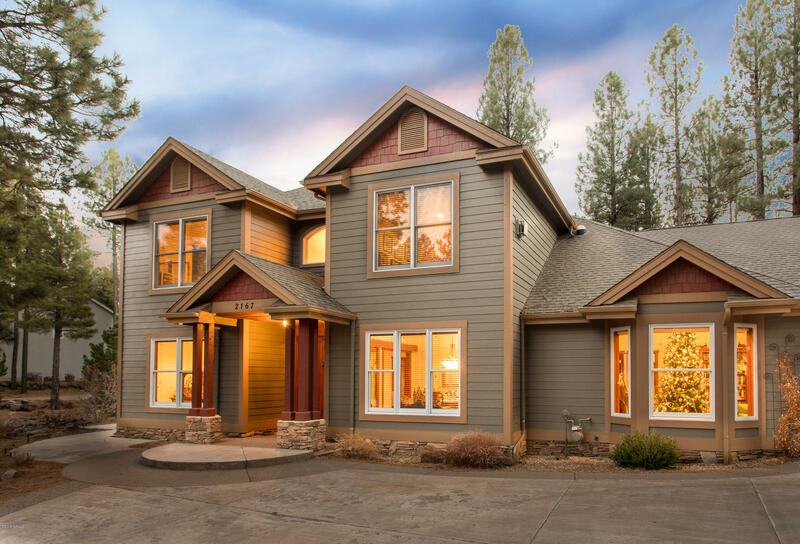 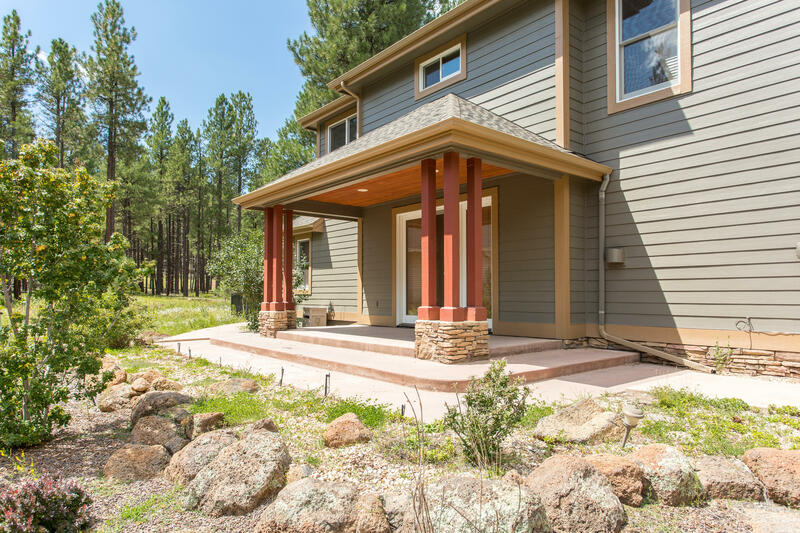 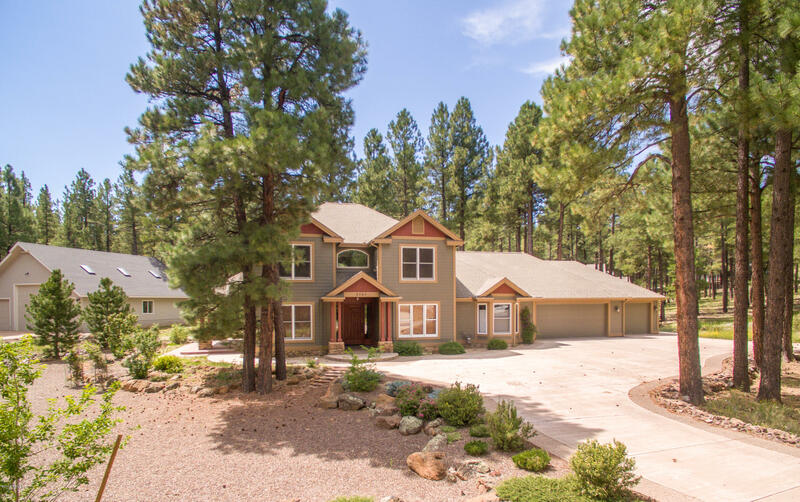 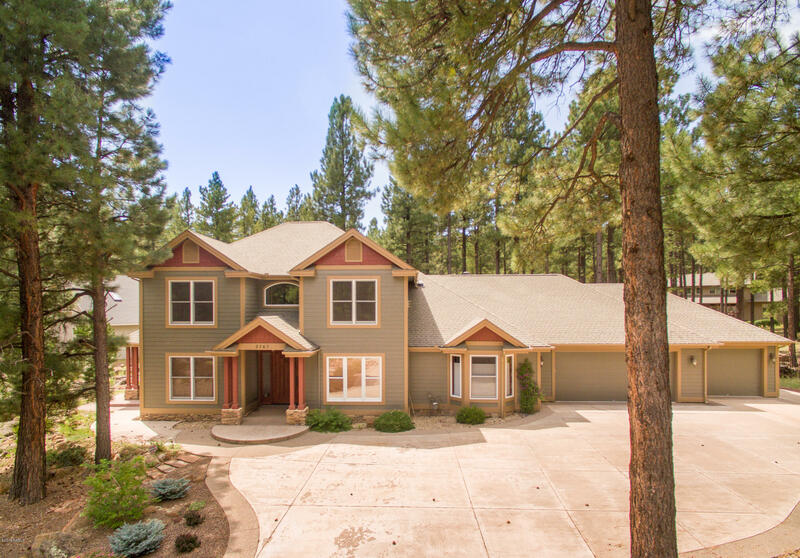 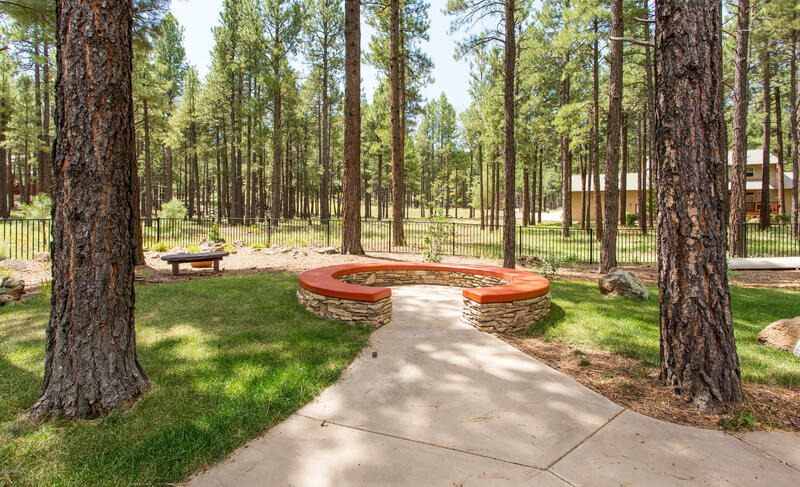 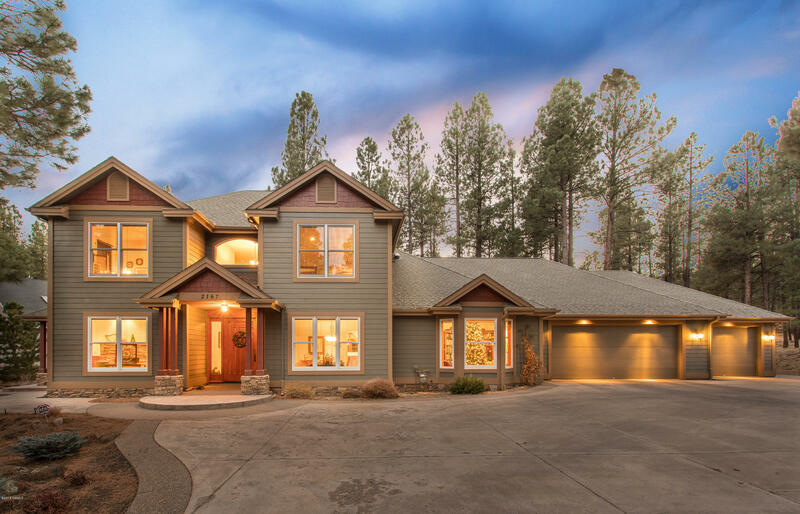 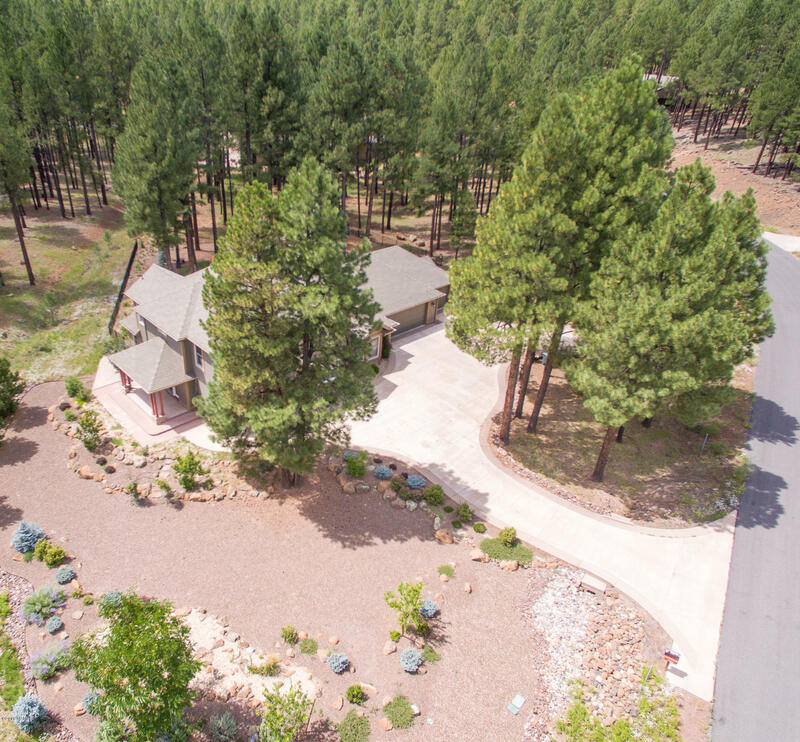 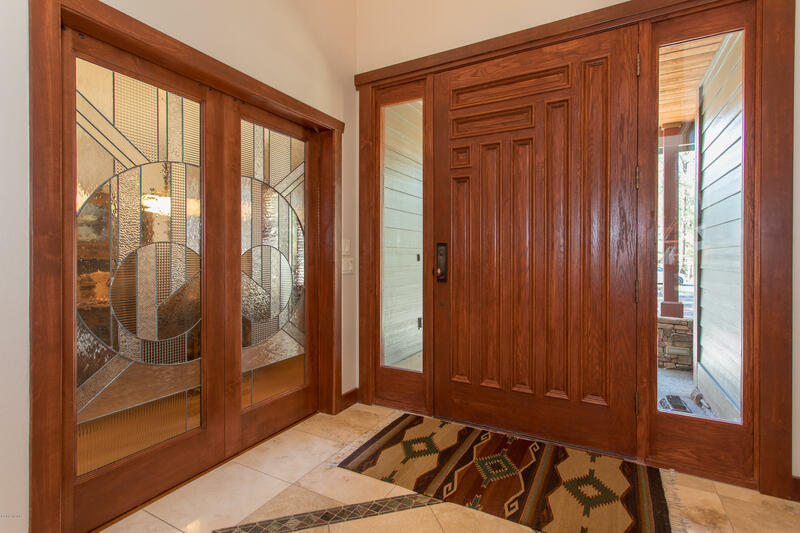 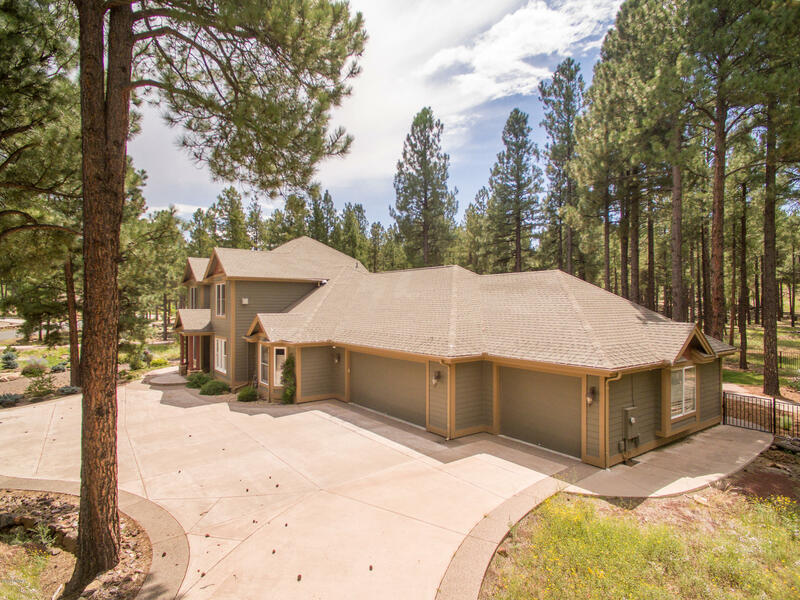 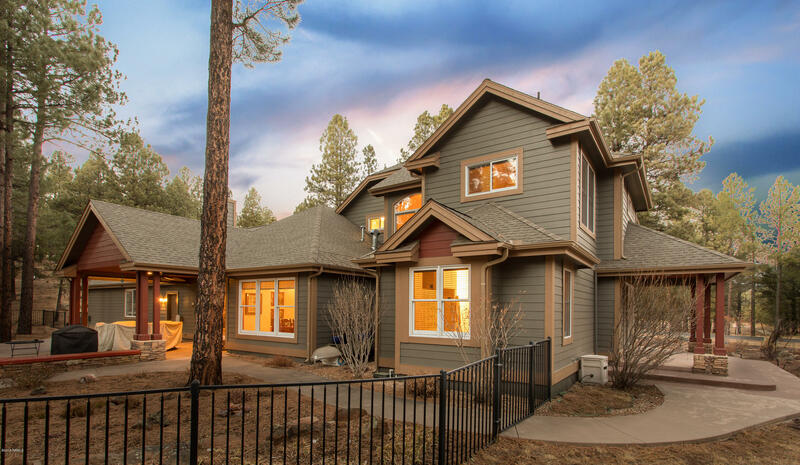 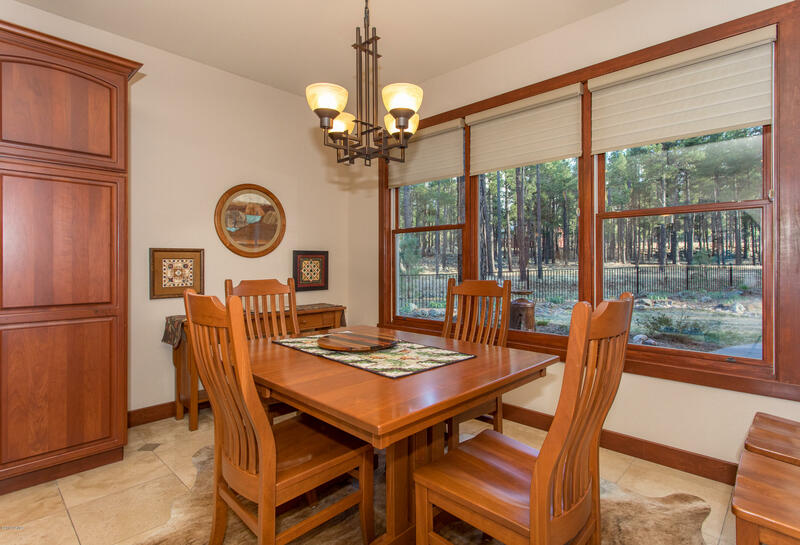 This fully custom home is seated among tall Ponderosa pines on a gorgeous lot in Flagstaff's Linwood. 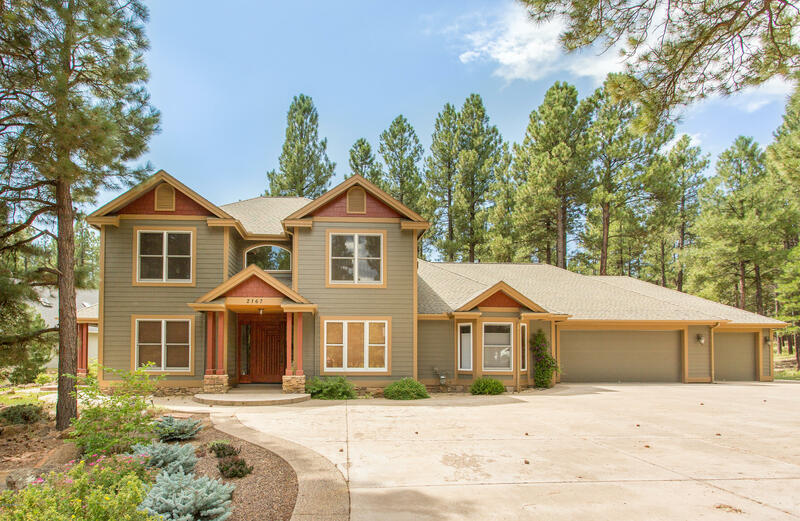 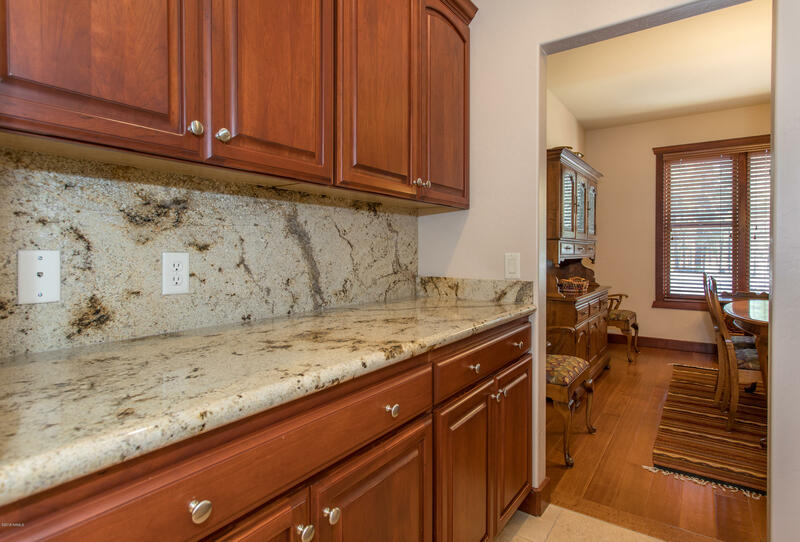 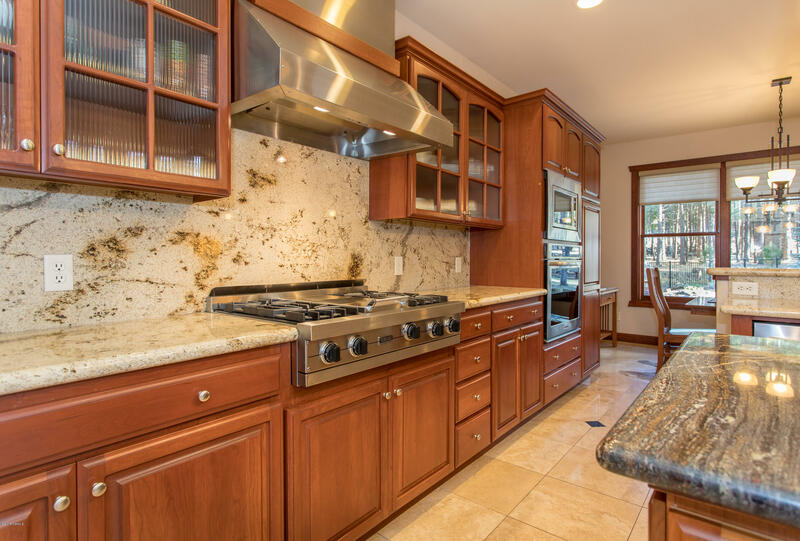 It features 4 bedrooms, 3 baths plus wonderful living, office and work space. 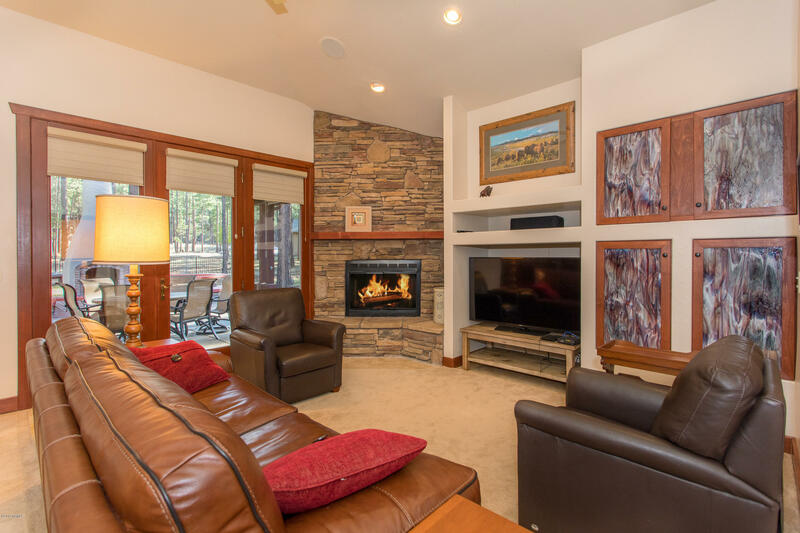 The great room has a soaring 9 foot ceiling, a beautiful fireplace and is just steps from the well appointed kitchen. 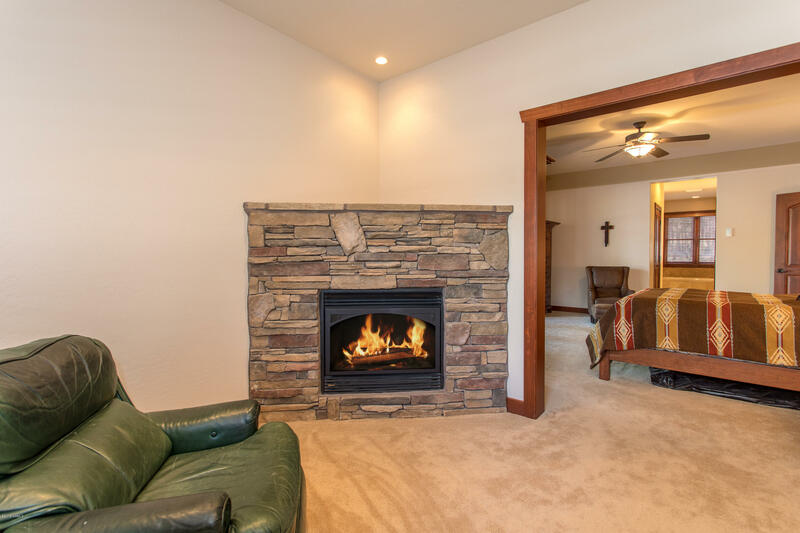 The master suite with its own fireplace and en suite bath is on the main floor. 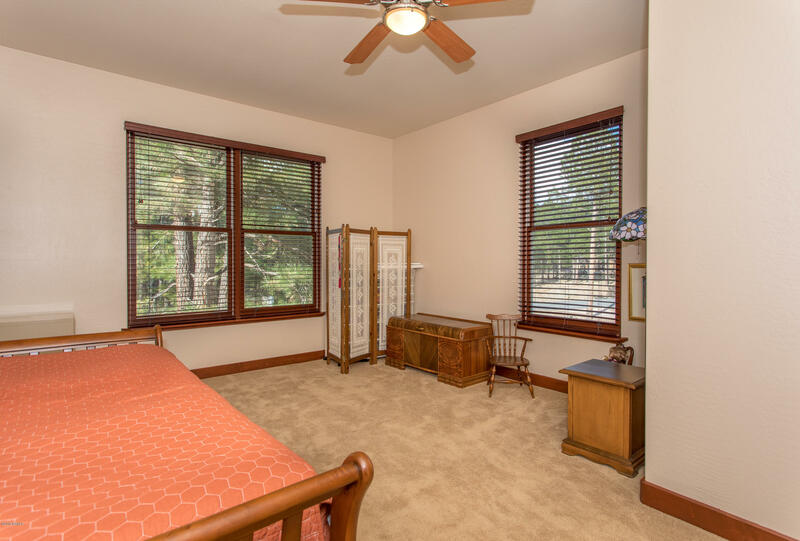 2 guest bedrooms, a guest bath and a phenomenal office space are just upstairs. 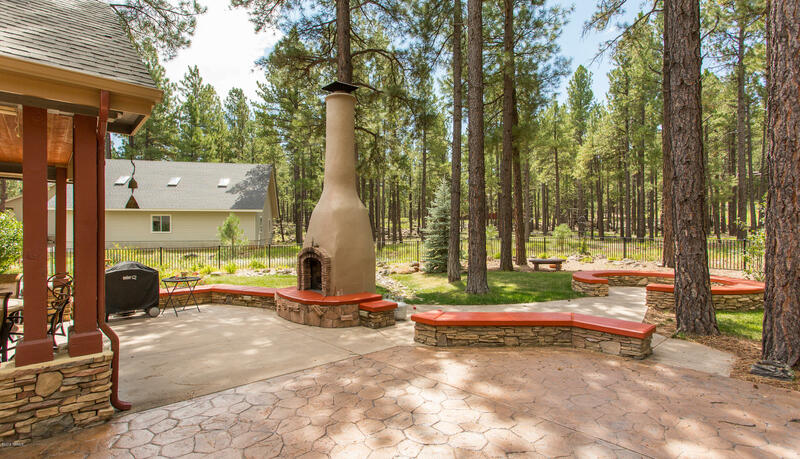 The home was built for entertaining and the expansive outdoor rooms adds to its charm and character. 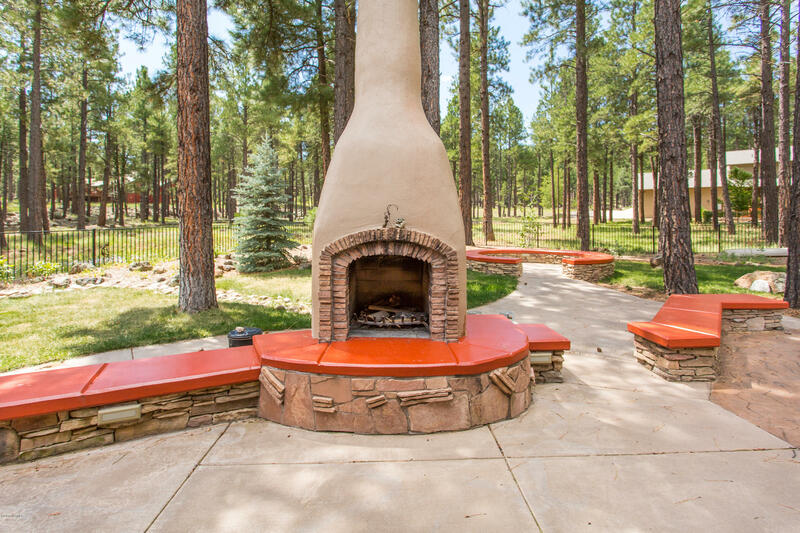 An outdoor fireplace, patios and gardens are yours to enjoy those great mountain summers. 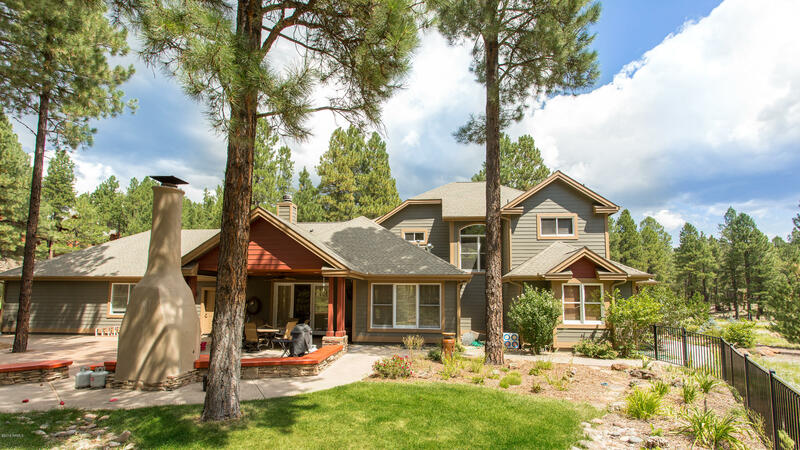 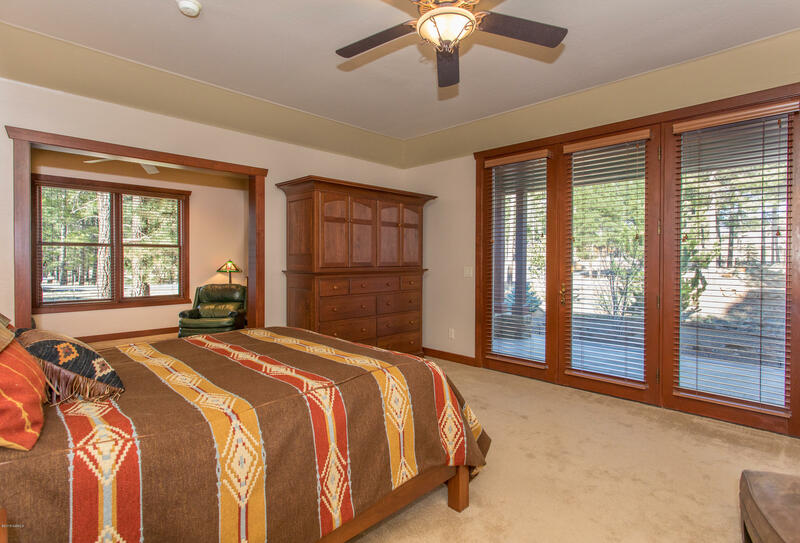 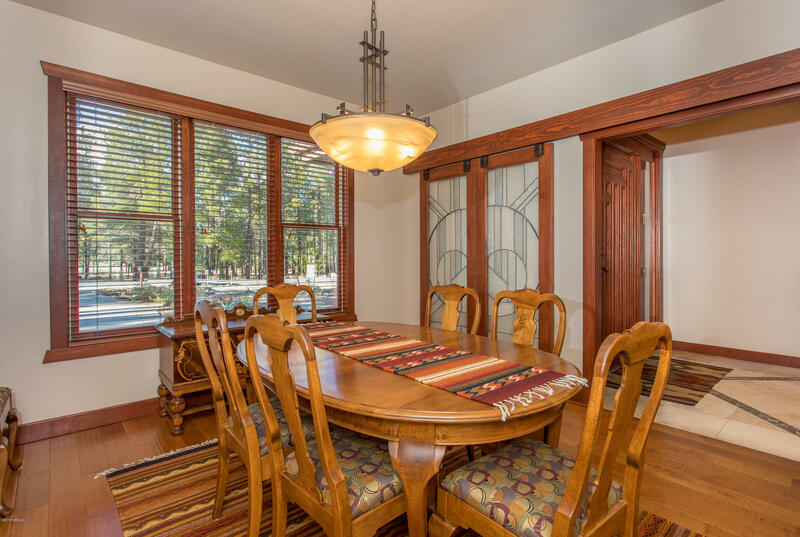 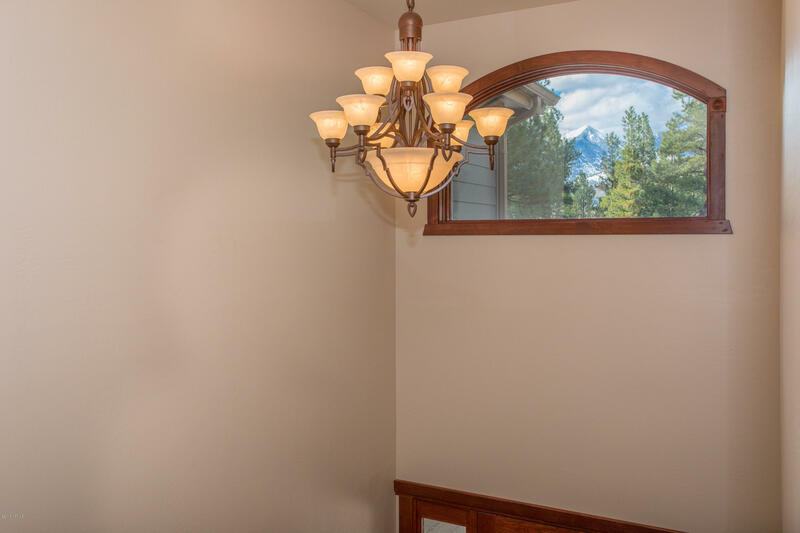 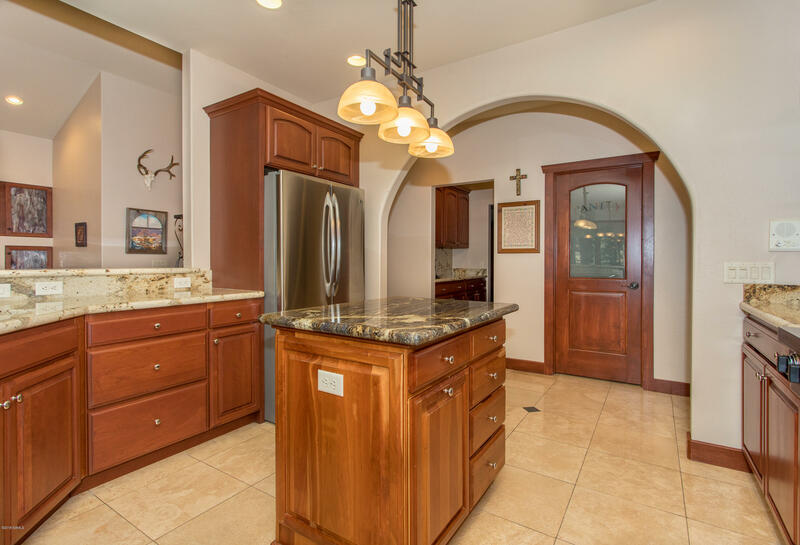 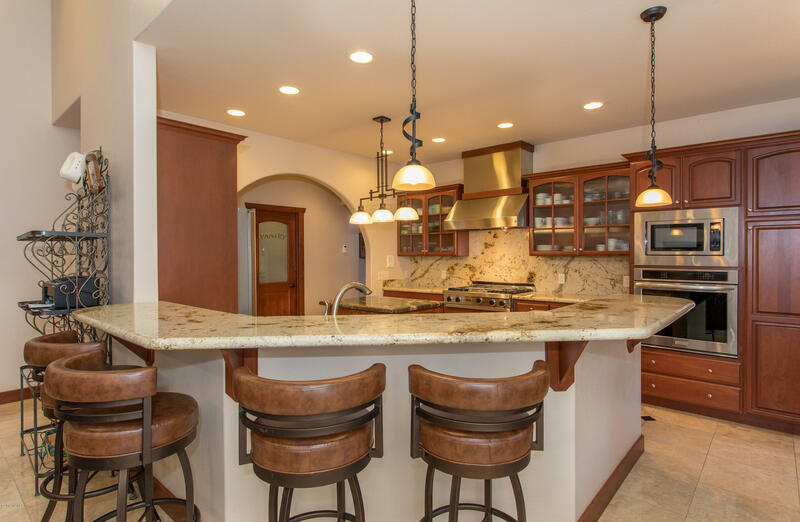 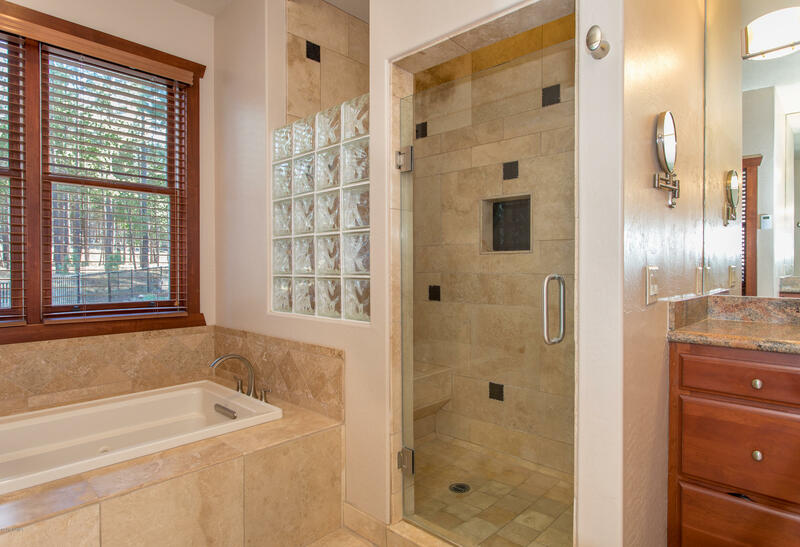 This home truly embraces a lifestyle only Flagstaff can offer and should not be missed.